All land in Oklahoma, with the exception of the Panhandle, is surveyed from the Initial Point located in Murray County. When Ft. Sill was established in 1870, the U.S. cavalry stationed at Ft. Arbuckle was moved there. Since the fort belonged to the U.S. Government, it was a perfect base of operations for the survey crew. 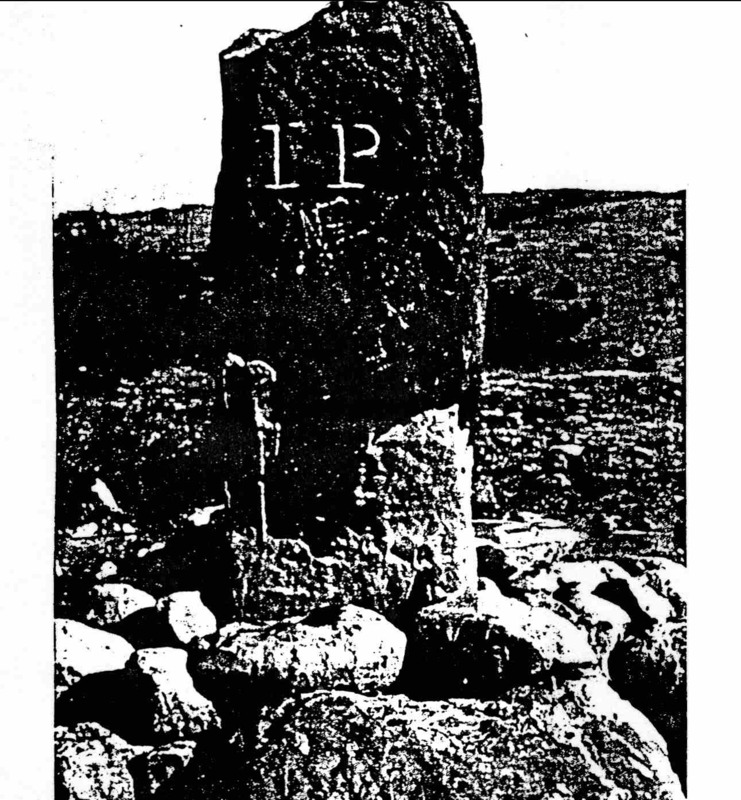 The Initial Point was established in 1870 by Ehud N. Darling and Theodore H. Barrett. Darling was surveying the lands for the Chickasaw and Choctaw Nations as described in the Treaty of June 22, 1855. By the treaty of April 28, 1866, these Indians agreed to the survey and subdivision of their land east of the 98th meridian, using the public land survey system of the United States, called the Land Ordinance of 1785 or the Rectangular System. 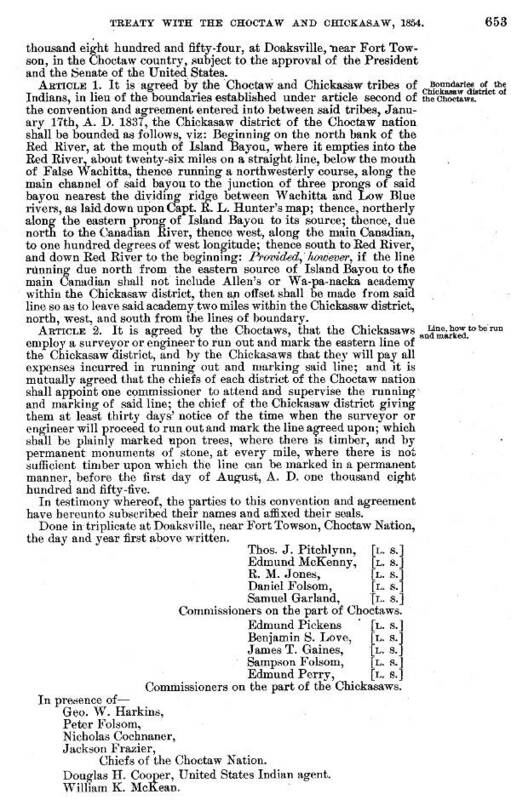 The 1871 report of the Commissioner of the general Land Office contains the following statement: "The surveyors were instructed to select a suitable initial point in the center of the Chickasaw Nation or in the vicinity of Ft. Arbuckle and perpetuate it by a suitable monument, and from this point to establish a principle meridian and base line to be known by the designation of the Indian Base Line and Meridian." The point chosen was about one mile of Ft. Arbuckle probably because Ft. Arbuckle was a convenient and well know location. The land was then divided into townships north and south and ranges, east and west of the Initial Point. From this point, they plotted the location of rivers, streams, mountain ranges, wagon roads and trails. Each township and range is six miles, or a total area of 36 square miles. In Oklahoma, there are 29 townships north and south and twenty seven ranges east and west of the Initial Point. In Oklahoma, Sections 16 and 32 were normally reserved for schools. The Initial Point for the Panhandle was designated as 103 degrees West longitude and 36 degrees, 30 minutes North latitude. The base line and the meridian are know as the Cimarron. All townships in the Panhandle are North and all Ranges are East of Initial Point. The Oklahoma Panhandle is only 36 miles wide, north to south.